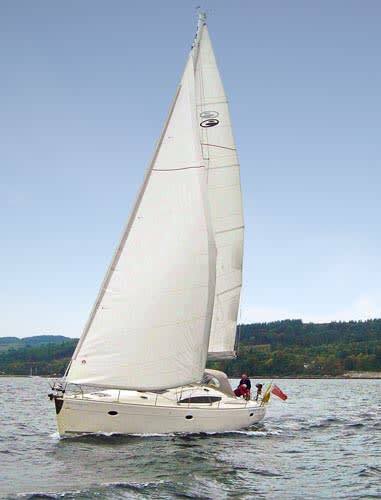 Available for skippered or bareboat charter. Based in the Isle of Skye. Capacity for 10 guests/crew. 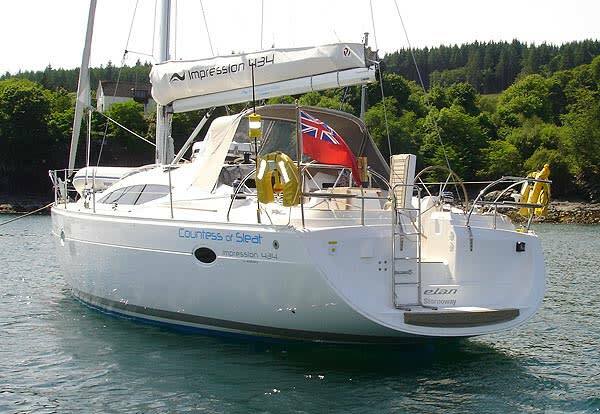 Prices start from £3170 per week, including skipper if required. 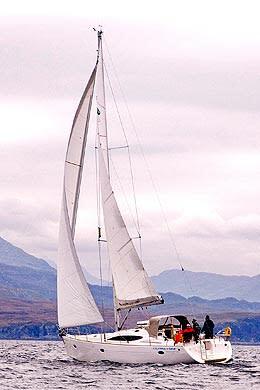 The 'Countess of Sleat' is a fast and comfortable cruiser. Designed for safe and fast passage making, her well thought out design and layout of hardware allows for easy handling. 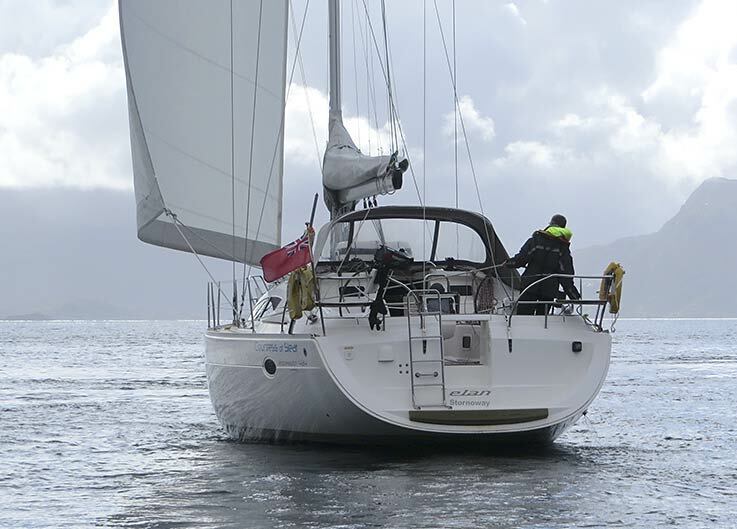 All the sail controls are lead back to the spacious cockpit, which boasts the latest navigation technology: Chart Plotter, Navtex, DSC VHF radio and an Ipad with Navionics charts and AIS. Rest easy in the knowledge that the yacht can be powered by a Volvo 55HP Saildrive Engine, and, should you require it, the steering can be assisted by the integrated Autopilot. All safety gear is provided up to MCA Category 2 charter standards. 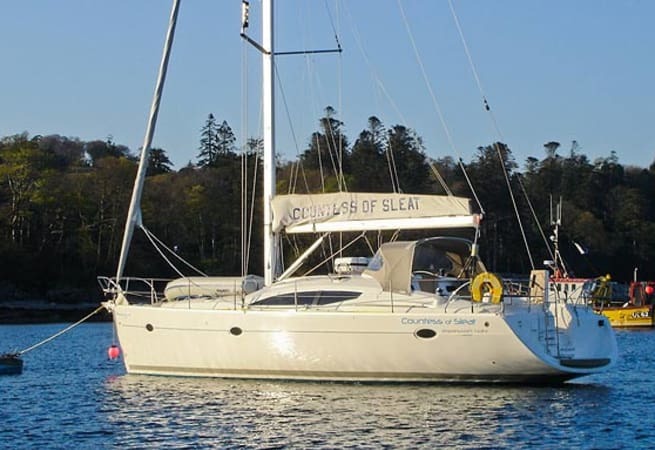 The yacht can be chartered either skippered, for those still gaining their sea-legs, or bareboat for the more experienced crew. 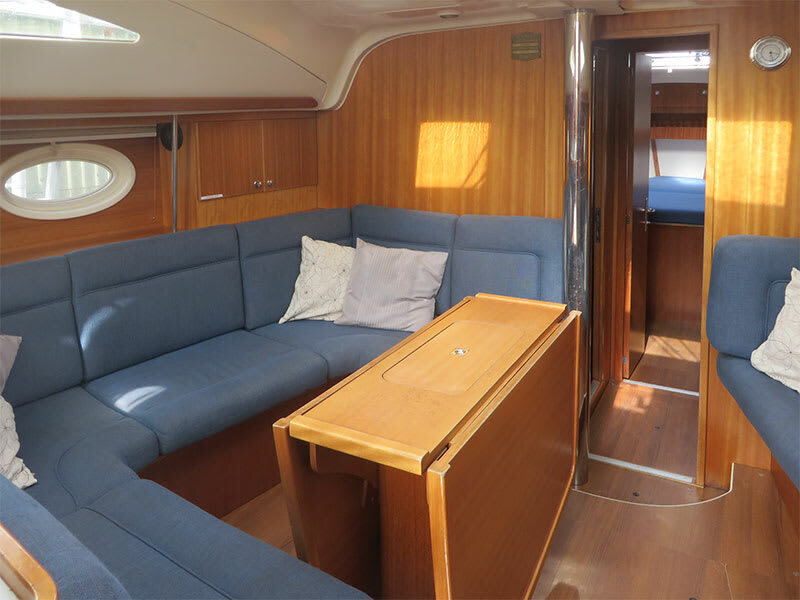 Central heating, fridge, radio/CD and all necessary galley equipment can be found on board allowing you to relax and enjoy the experience of sailing. The L shaped galley is safe and easy to work in, with a 3-burner hob. Accommodation below is centred on the bright and airy Saloon, which has a table large enough to seat all the crew. Forward of here are a double and a bunk cabin, plus a heads (i.e. bathroom) compartment. At the aft end are two double cabins, one of is en-suite, as well as the larger heads compartment with a separate shower stall. A massive water tankage of almost 800 litres will allow you to wash at your leisure. 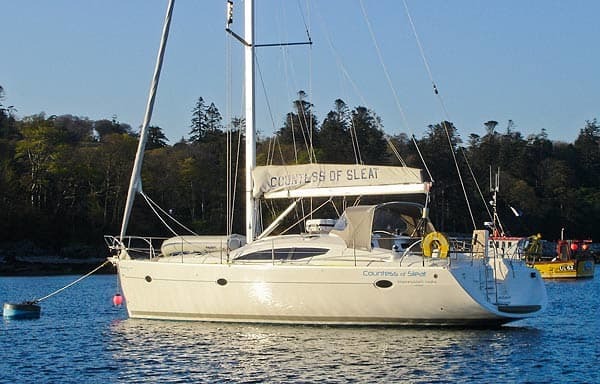 The 'Countess of Sleat' could be your island of comfort among the Western Isles. Whether you are attracted by the rugged, unspoilt natural scenery, or by the ancient heritage of the area, or even by the awesome power of the Atlantic Sea, you will find no better way to experience it than from onboard the 'Countess of Sleat'.